If you have a tablet, or a new smartphone with a large screen, odds are you've worked out two things — using it throughout the day uses up battery fast, and charging from a PC or laptop is slow. 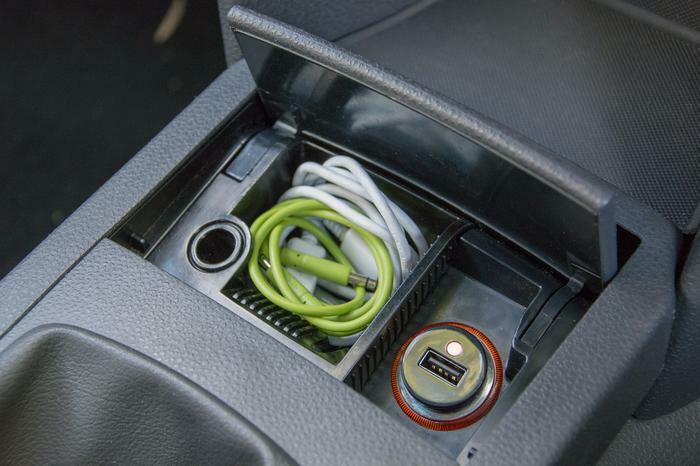 Most cars have a 12V cigarette lighter easily accessible to the driver, although sometimes they're hidden away. 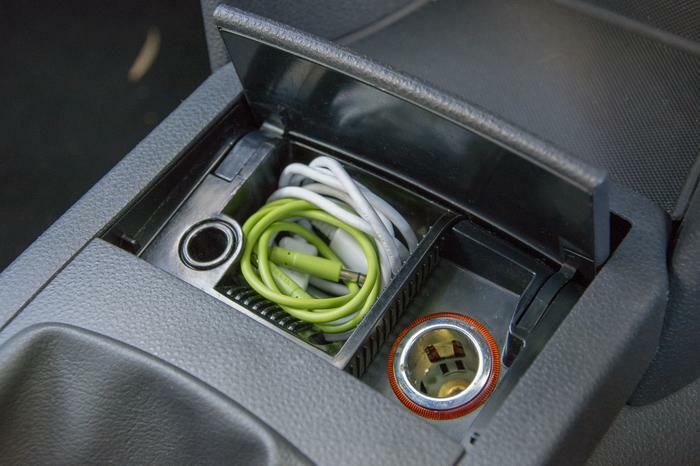 If you're on the road regularly, or if you drive to work in the morning and home in the afternoon, you've got the option to charge your mobile device using the 12V cigarette lighter port. This Belkin charger we've had for a few years did the job for our old smartphone, but now it's not able to keep up with charging a tablet. 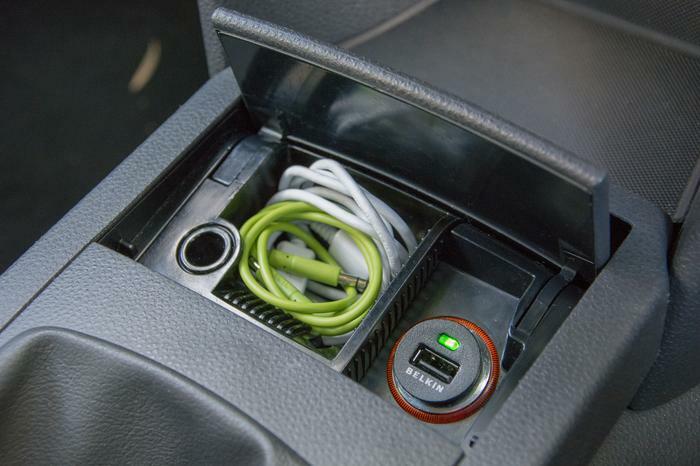 Not all car chargers are made equal, though — usually there's a compromise between being bulky and powerful, or small and gutless. Especially if you've got a car charger that's a few years old, chances are it's not putting out enough power to charge your tablet or smartphone as quickly as possible. Despite being able to output a full 2.1 Amps, the PowerBolt Micro is little larger than the Belkin it's replaced. 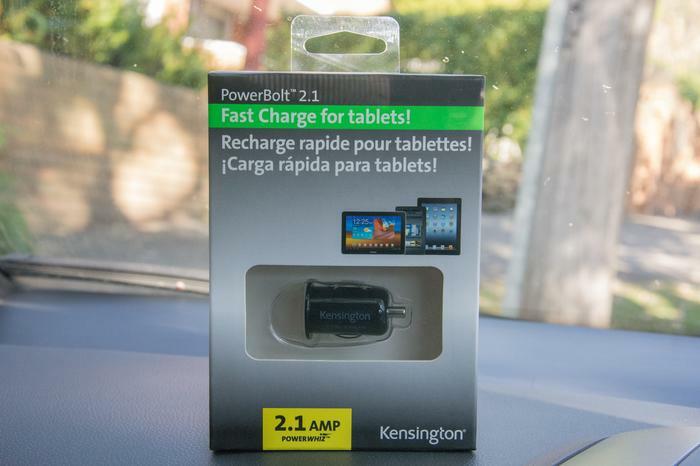 Ideally, what you want is a small car charger that's both small and powerful, and Kensington's 2.1 Amp-capable PowerBolt Micro fills that role perfectly. There's a small LED to tell you when the PowerBolt Micro is powered, and the USB port can provide enough current to charge even a full-size iPad. 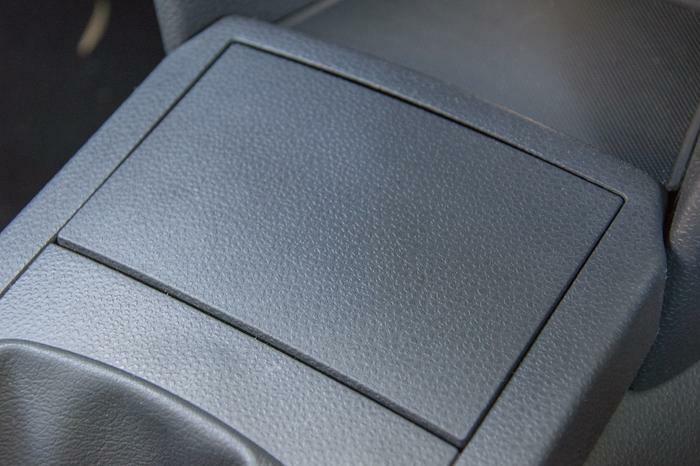 It's barely any larger than a standard 12V cigarette lighter socket in the first place, so if the port is hidden away behind a panel it won't get in the way of it closing. It protrudes barely one centimetre past the socket. 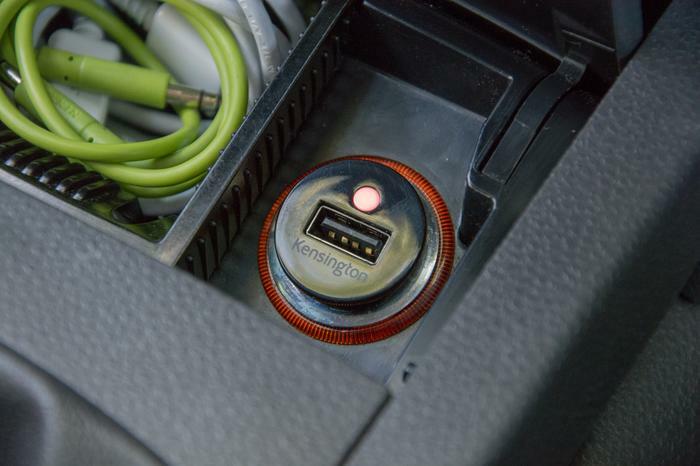 The PowerBolt Micro is small enough that it can hide away wherever your cigarette lighter port is &#8212; you don't have to disconnect it when you're not using it. The Powerbolt Micro includes a 30-pin cable to connect your older iPad, iPhone, or iPod touch, but it'll work with any micro-USB cable for Android phones or tablets or any Lightning cable for iPhone 5 and new iPads and iPads mini. It would have been nice for it to include another cable or two, but they're cheap and we have plenty around anyway. The PowerBolt Micro's retail package is simple -- it'll set you back around $30. The Kensington PowerBolt Micro is available for a $29.95 recommended retail price, but you might also find it cheaper if you shop around.